Students at The GLOBE Academy are required to wear uniforms. School uniforms provide a sense of community and help ensure safety by making it easier for faculty and staff to identify students. 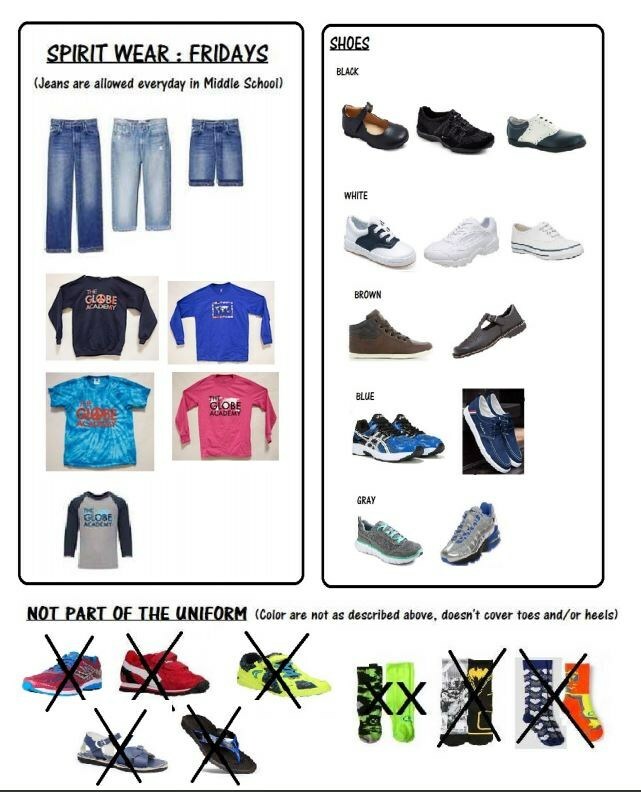 Our uniform policy does not require uniforms be purchased from a particular vendor. Families can also purchase Spirit Wear which include t-shirts, sweatshirts, car magnets, and more! Pick up your GLOBE apparel at Open House or at one of our regularly scheduled Spirit Wear sales which are announced via email. Fridays are designated as Spirit Wear days when students and staff are allowed to wear a GLOBE t-shirt. If a child is cold and requires an extra layer in class, that garment must be solid navy, white, or light blue as well. 6-8: May be worn Monday-Friday; jeans may not have lace, rivets, patches, or other adornments, and may not be torn or ripped. 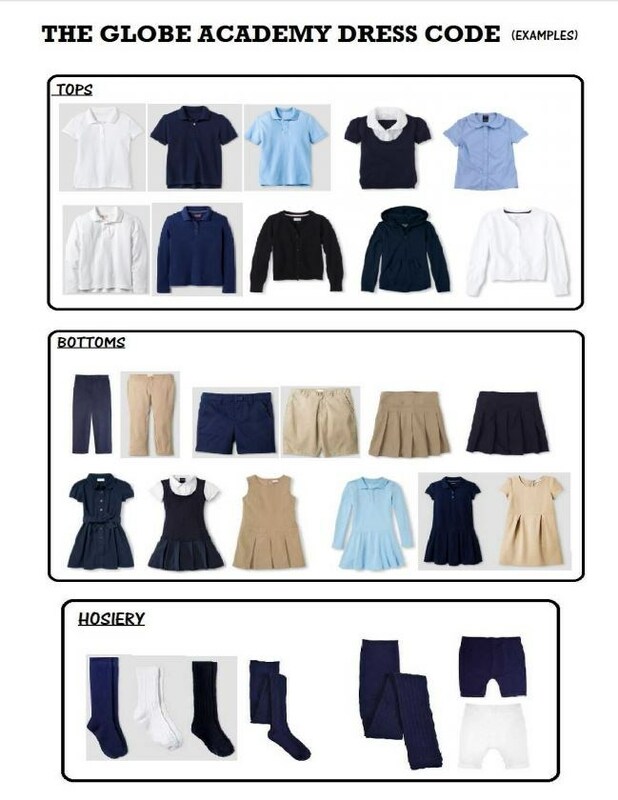 *Shorts, skirts, and dresses must be no shorter than the longest fingertip when student’s arms are fully extended at the sides of the body. Avoid excessively tight or baggy pants. Backless shoes (clogs, Birkenstocks, Crocs, etc. ), beach shoes, flip-flops, sports sandals, Heelys, and light-up shoes are not permitted.